Munduk and Melanting waterfalls are among Bali’s most scenic, located within Bali’s lush and forested central-northern highland region. The falls are a highlight feature of the namesake village of Munduk in Buleleng, North Bali, reachable after a 300m walk from the main road on which trekkers can enjoy soothing nature sights and sounds along a forest route. 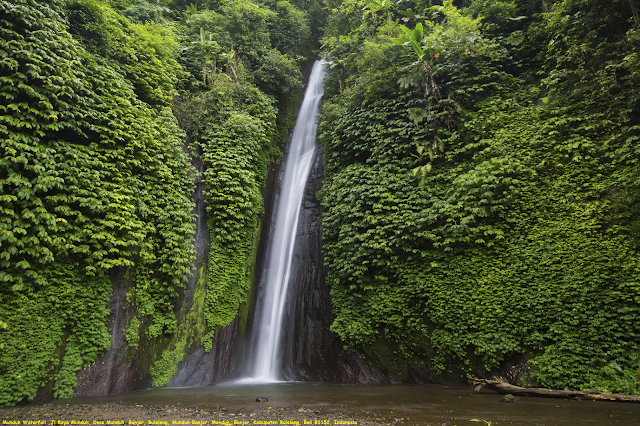 Only a short trek north from Munduk is Melanting waterfall, which offers similar features.